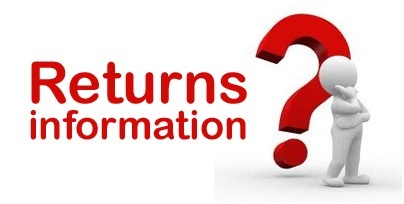 We hope you will be delighted with everything you have bought from us, but if you are unhappy with your products for any reason, you can return them to us in accordance with this Returns Policy. The products are your responsibility until they reach our warehouse. You will be responsible for the cost of returning the products to us by post. We recommend that you use a postal service that insures you for the value of the products you are returning and you should keep proof of postage. We will refund the full price you paid for the products, using the same method you used to pay for them. No exchanges can be made through our warehouse (this is because we cannot guarantee stock levels due to expected high turnover of styles). You are entitled to cancel your contract if you so wish, provided that you exercise your right no longer than 7 days after the day on which you receive the goods or services. If you wish to exercise your right of cancellation, you are obliged to retain possession of the products and take reasonable care of them. If you decide to cancel, you should return the products to us at your cost within 7 days of such cancellation and we will reimburse to you (by the method used to pay for the original transaction) the amount in relation to goods to which cancellation rights apply. This includes the cost of delivery (except for the supplementary costs arising if you choose a type of delivery other than our standard and least expensive method of delivery). We may make a deduction from the reimbursement for loss in value of any products supplied, if the loss is the result of unnecessary handling by you. We will make the reimbursement no later than 7 days after the day we receive back from you any products supplied. Hygiene strips must not be removed from any products (for example, swimwear). If you fail to take reasonable care of the products before returning them to us, you may have to compensate us. For health and hygiene reasons all briefs and pierced jewellery are non-refundable and cannot be returned.